In the same family for over 200 years São Lourenço Barrocal has its heart in a former Alentejo hill, surrounded by vineyards, oaks and olive trees with granitic outcrops that occasionally appear in the local landscape - the barrocais - gives the name for themselves and for their wines. The winery, located on the hill, is one of the crucial areas for regeneration, producing wines under exclusive brand. Grapes selected and harvested by hand in 15 hectares of its own vineyards are the basis of limited editions, the remaining grapes are carefully matched before beginning the aging process. Two fermentation wine presses, 14 traditional concrete vats with total capacity of 80.000 liters and a living room with oak barrels, is a versatile space that can host events, together with the evidence room and the adjacent outdoor terrace. 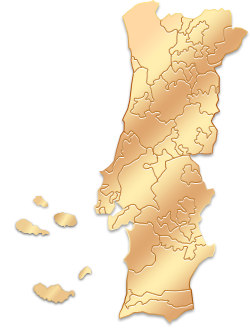 Crafted from Portuguese native grape varieties reflect the 10 year old vineyards in which they originate, as well as its unique terroir, recognized for over a century by the founder of the estate, who helped create the nineteenth century plantacion with more than a million strains, one that is now one of the most notable wine regions in Portugal. In the heart of the wine region of Alentejo and under the influence of Alqueva lake, the climate of São Lourenço do Barrocal alternates between hot, dry days and cool, damp nights. The meticulous work of the winemaker Susana Esteban with the varieties Touriga Nacional and Alicante Bouschet results in a Reserva Tinto and others red wines, rich and mature wines, and elegant white, matching, too, foreign varieties. Room where you can taste and purchase the products produced at Quinta São Lourenço do Barrocal. São Lourenço do Barrocal is located in Reguengos de Monsaraz.